Long-Haired Jim Courtright strides into the White Elephant Saloon in Fort Worth, Texas, and has words with co-owner Jake Johnson. Luke Short, the other owner, is called down from the game rooms and brought into the discussion. 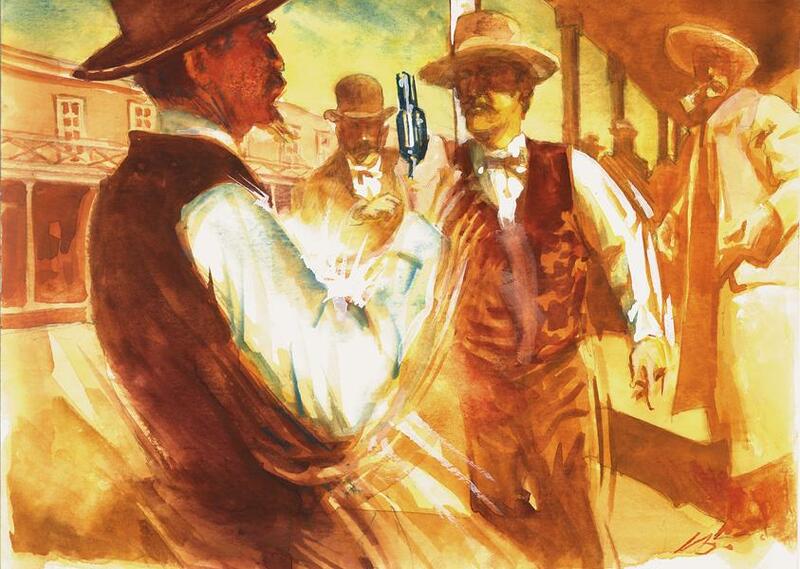 The three men leave the saloon and walk down the sidewalk, stopping outside the Ella Blackwell shooting gallery. Courtright, owner of the T.I.C. Detective Agency, demands money for protection. Short demurs, claiming, with some authority, that he can protect himself without outside muscle. Short replies, “I haven’t got any gun here, Jim,” raising up his vest to illustrate. Courtright pulls out his own pistol but fails to pull the trigger (it is later learned that a cylinder jammed). Short fires his now-drawn gun and a bullet strikes Courtright; he then pumps four more bullets in Courtright as he falls. This is the version of events as told by Johnson. If other issues were raised during the discussion, they died with Courtright. 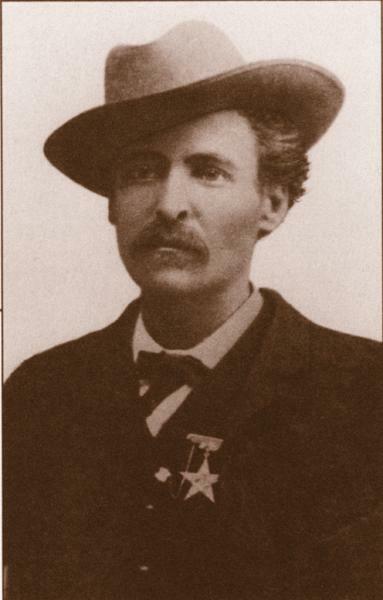 Controversial to say the least, James Timothy Isaiah Courtright was born in Iowa in 1848 and became a military scout, mining guard, ranch foreman and lawman. It was in this latter capacity, as city marshal of Fort Worth (1876-79), that he gained his most favorable reviews (he was the first city marshal to serve more than one term). In those days, he wore his hair shoulder length as was the style among scouts on the frontier. When his term as marshal expired, he gravitated to Silver City, New Mexico, where he worked as a guard for the American Mining Company. After being implicated in several deaths, he fled back to Texas (he was later exonerated). Back in Fort Worth, Courtright opened the T.I.C. (for his initials) Detective Agency and, according to statements by Short and Johnson, was attempting to extort protection money when he was killed. Luke Short was given a preliminary hearing and released on a $2,000 bond, but he never faced trial. Long-Haired Jim Courtright was given a big, fancy funeral. After he died, his children moved to California. 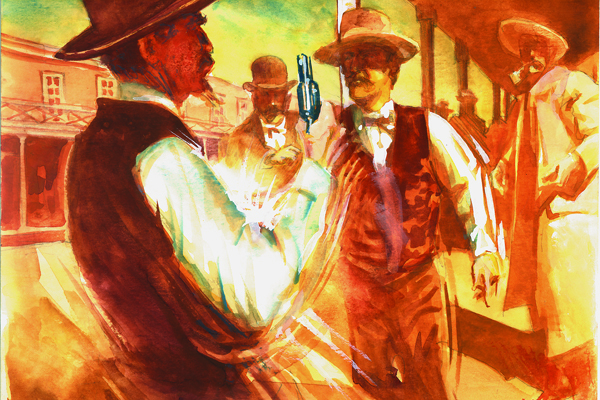 In December 1890, Luke Short went to downtown Fort Worth to vent his indignation over what he considered a crooked gambling operation run by Charlie Wright. 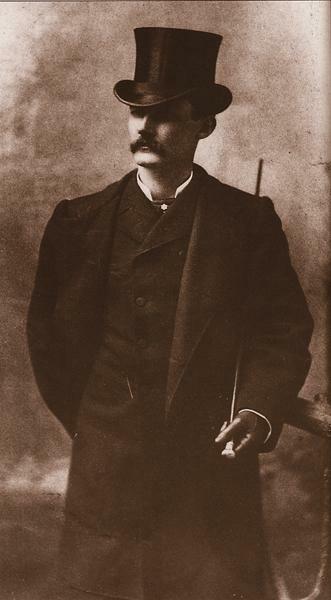 Short pulled out his pistol and demanded the dealers and gamblers “skin out.” As Short turned over tables and broke up the hardware, Wright shot him with a shotgun from behind. Short, struck in his left leg and with part of his left thumb torn off, wheeled and snapped off a shot at the retreating Wright, fracturing his assailant’s wrist. 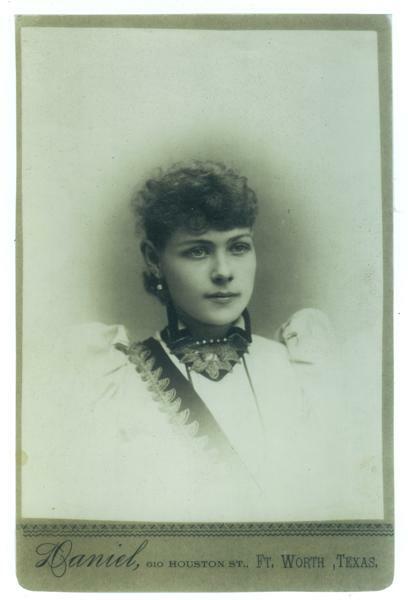 Shortly after the Wright affair, Short developed dropsy and died from the effects of the disease at a health spa in Geuda Springs, Kansas, on September 8, 1893. Recommended: Jim Courtright of Fort Worth: His Life and Legend by Robert K. DeArment, published by Fort Worth Christian University Press; and Luke Short: A Biography by his great-nephew Wayne Short, published by Devil’s Thumb Press. Luke Short (center) shot gambler Charley Storms in much the same fashion as he shot Long-Haired Jim Courtright. 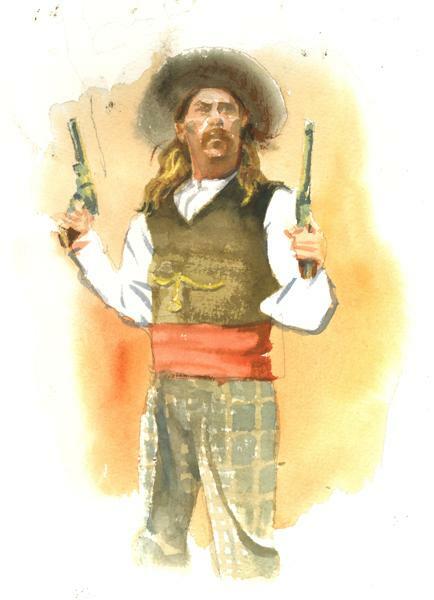 After an altercation at the Oriental Saloon in Tombstone in 1881, Storms attempted to accost Short outside. Short pulled iron and shot Storms in the heart point-blank, then shot him multiple times as he fell. Luke Short (above) is the undisputed top dog of high-stakes gambling in Fort Worth. 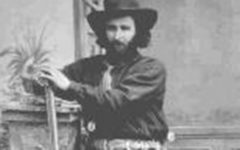 The dapper gambler and gunman has ponied up and drawn inside straights in some of the West’s most famous watering holes including those found in Dodge City, Kansas, and Tombstone, Arizona. Now in partnership with Jake Johnson of the White Elephant Saloon, Short appeals to a genteel crowd of civic leaders and high rollers who frequent the game rooms upstairs to rub shoulders and match wits (and bets) with celebrity gamblers. A gambler in a high-stakes poker game runs out of money while holding a winning hand of four aces. He asks the players to pause the game so he can get a loan at the bank. Is this Hollywood or a true story? 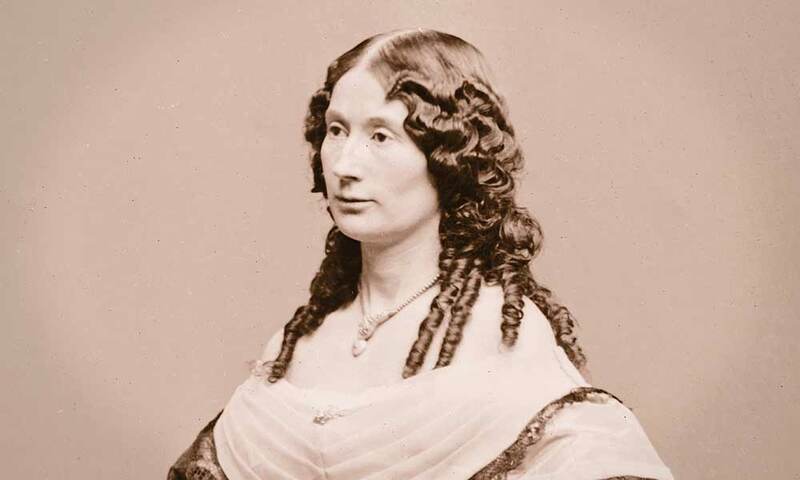 She Cradled Lincoln’s Head Laura Keene has gone down in history as the actress whose dress was stained by President Abraham Lincoln’s blood.